You understand how supposedly we use only 10% of our brains? Well, I think we use only about 10% of tile’s capacity also. I really like staggered subway tile as much as the next woman, but let’s face it: It’s secure and predictable. 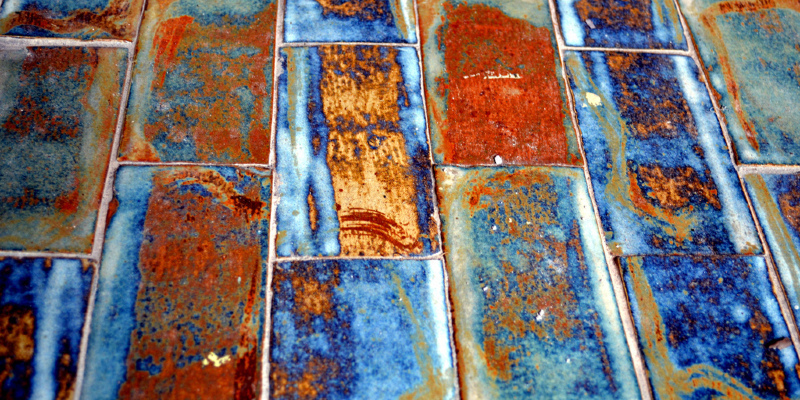 Tile is so far more than rectangular pieces of clay. It may add art, glow, dimension, pattern, color and pizzazz to a room. It may work in each room in the home, and it is comfy outside also. All these 19 photographs will inspire you to look at tile possibilities in an entirely new way. I believe we’re ready for another 90 percent now. Floor-to-ceiling tile in the bathroom using a embedded mural of a clown fish. Who doesn’t wish to take a bathroom with Nemo? These tile roses are a contemporary take on the early mosaic bathrooms of the Middle East. Beautiful. This fully tiled bathroom has that steamy Turkish-bath feel. A water-theme mosaic using a dolphin is a very small bit of the Greek islands without that uncomfortable ferry ride. The subtle tile waves repeated with this wall and floor are like a waterfall flowing throughout the room. Ribbons of metallic tiles flutter against this particular wall, playing with the light and incorporating glamour. A gold tile backsplash is pure glamour with just the perfect pinch of humor thrown in. There is not any reason a accent wall can not be tiled rather than painted. It reflects light, adding depth and texture. Patterned tile does the job of wallpaper. Plus it is durable, watertight and extra shiny. This contemporary kitchen moved the anti-subway-tile route using a vibrant, full-wall cement tile backsplash. Following is a close-up of this amazing backsplash tile. A large, bold pattern in a little space creates play. This aqua tile emphasizes the architecture and delineates the bathing nook. Ah, bathing nook. Doesn’t that sound nice? In my fantasy home about the Spanish shore, we have this floor. It is so easy to sweep up the sand after a day at the shore. A Gaudí-ispired outside stairwell. The multishape organic flooring captures the movement and sparkle of water. I totally adore this.